When I saw this vintage cotton tapestry with a cat surrounded by a floral wonderland I just knew I had to create something with it. 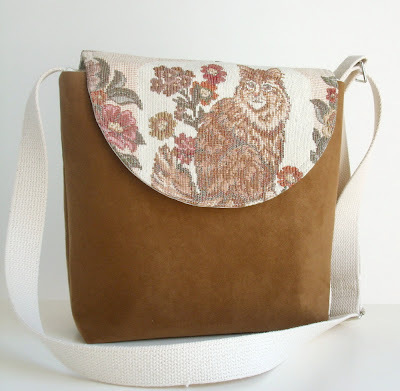 I decided on a basic messenger made from faux suede and used the tapestry to make a sweet flap that would be the centerpiece. The kitty is quite regal looking sitting so majestically but we all know she/he is chasing butterflies and birds in the garden when we are not looking. 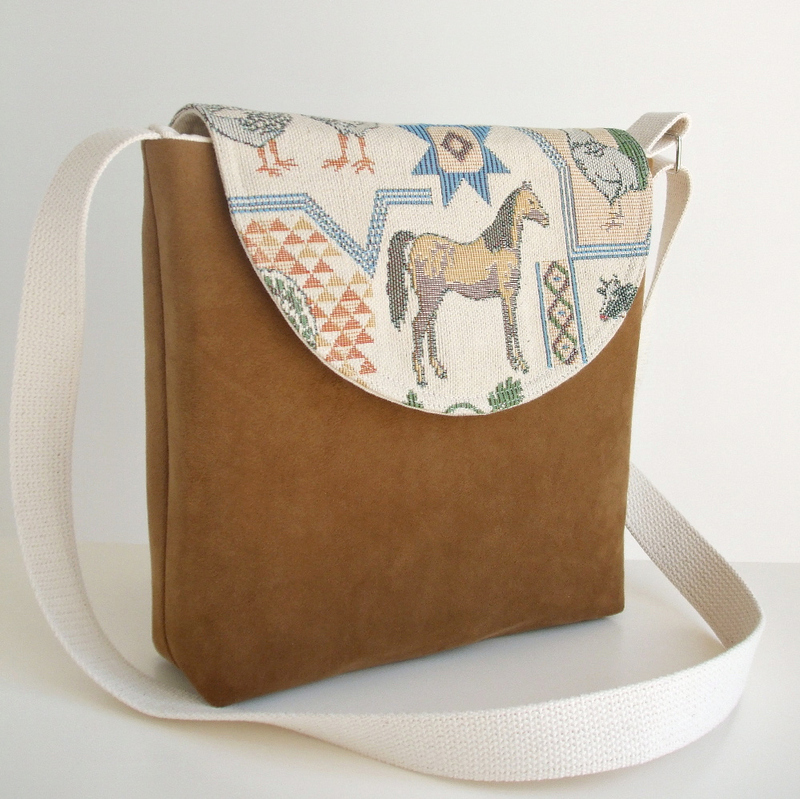 Also added to the shop is this sweet messenger made from a rustic looking cotton tapestry. This tote really shows off the cool images on this tapestry. Almost every farm animal that you can image is featured. And I also love the quilt block motifs. 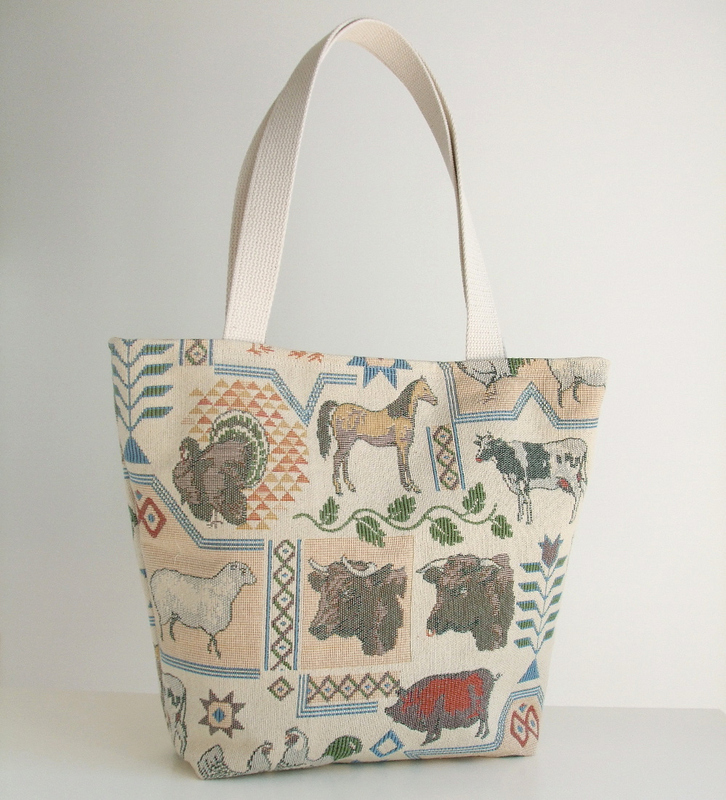 All these bags are now available in the shop. Wishing you all a wonderful Sunday. Enjoy! As always, these designs are beautiful like all of yours. Of course, I'm partial to the bag with the cat. Beautiful images, and the combination of colors and fabrics is beautiful, too! Sorry since long time I couldnt write anything.